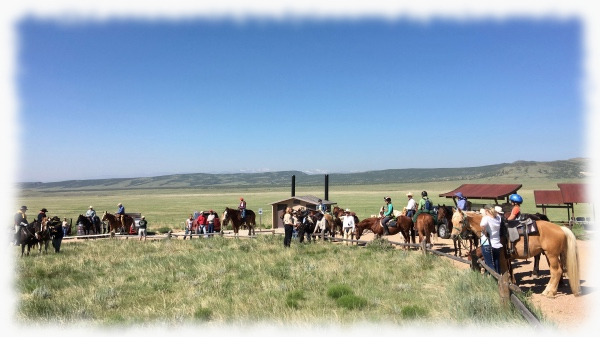 On June 18th, the Buffalo Soldiers of the American West came to Soapstone Prairie to lead a horseback ride through the region’s amber waves of grain. But first, Fred Applewhite, the first officer, gave a short presentation on the history of the Buffalo Soldiers. 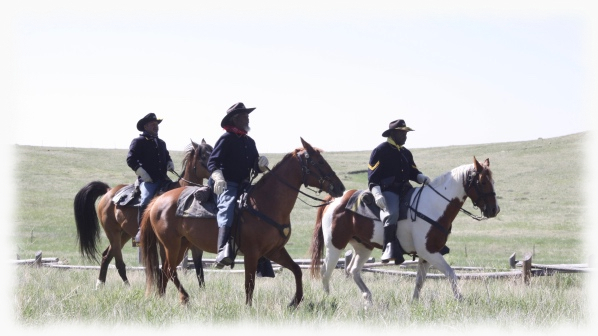 In 1866, Congress created six all-Black army units — 2 cavalry units and 4 infantry. 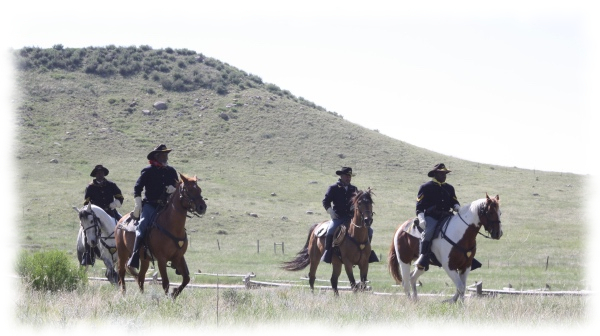 These units were all sent west of the Mississippi to bring a degree of order to the wild west. They not only protected settlers as they traveled and settled in, but these soldiers also helped to build the infrastructure that would ease their travels westward. The period of time from 1886 to the early 1890s was called the Indian Wars. (The re-enactors wore uniforms reflective of this era.) It was the Native Americans that gave these army units the name “Buffalo Soldiers,” though no one is entirely sure why. (Fred Applewhite lists some possibilities in the video above.) Soldiers were issued one uniform that was to be worn all year long, in every kind of weather. The cavalry units received horses, but they tended to get a mismatched assortment (probably the “leftovers” from other units). Although these Black army units (which also occasionally included Native Americans and Hispanics) were originally sent west, they were later called upon to fight in other wars such as World Wars I and II. It wasn’t until the Korean war that the United States Army was finally integrated. 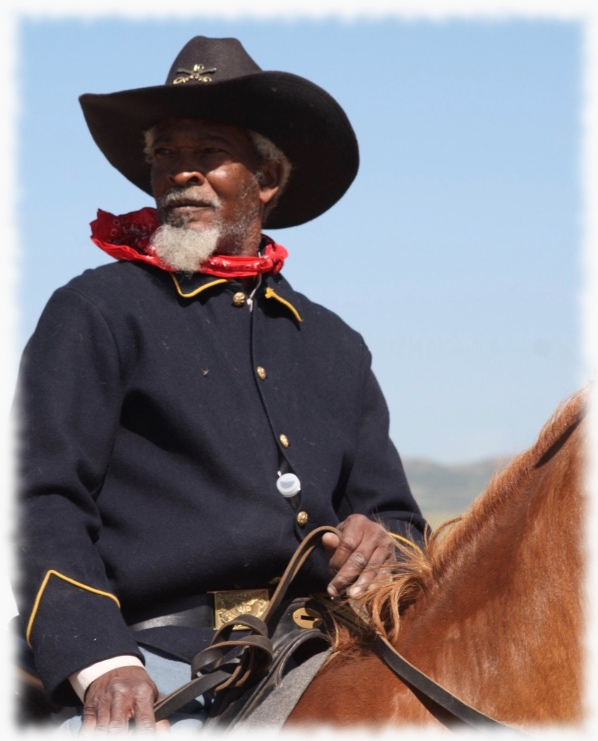 The last Buffalo Soldier, Mark Matthews, died in 2005, at the age of 111! 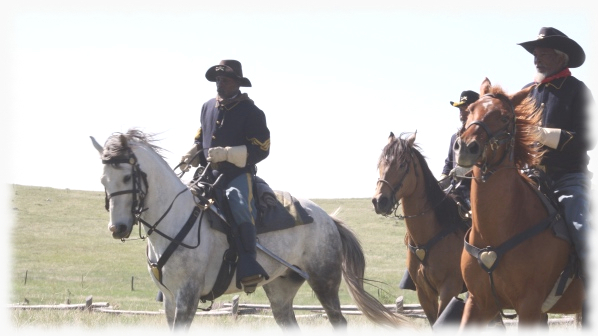 The Buffalo Soldiers that came to Soapstone are part of a re-enactment group whose goal is to keep the memory of the original Buffalo Soldiers alive. This is particularly important because few history books mention these men, despite the fact that they served a valuable role in the settling of the West. John W. Bell Jr. founded the organization after learning that the stories he’d heard of his grandfather, Addison Taylor, were true. Taylor really had been in an all Black cavalry, fought Native Americans, and helped to settle the West, despite the fact that the history books John had read in school included no mention of any such Army regiment. 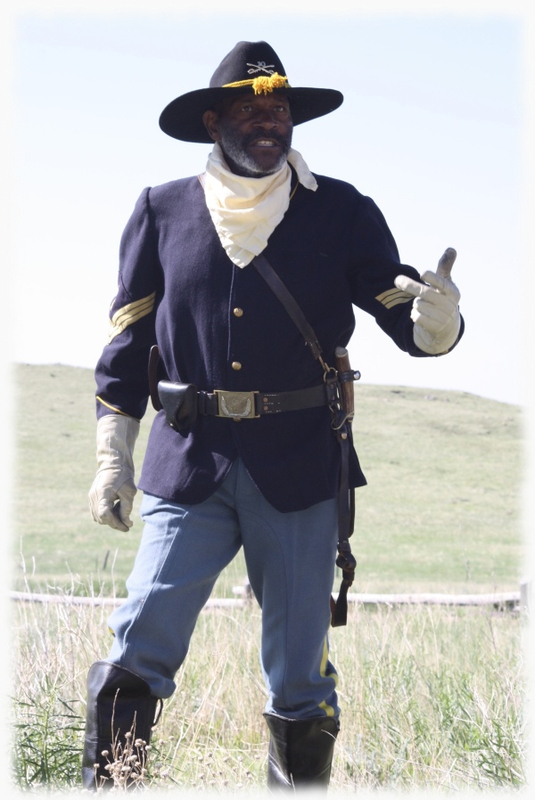 Now the group that he started travels all over West, putting on shows and educating people about the history of the Buffalo Soldiers. All photos and video were taken by Meg Dunn on June 18, 2016 at Soapstone Prairie. The music is provided by iMovie. 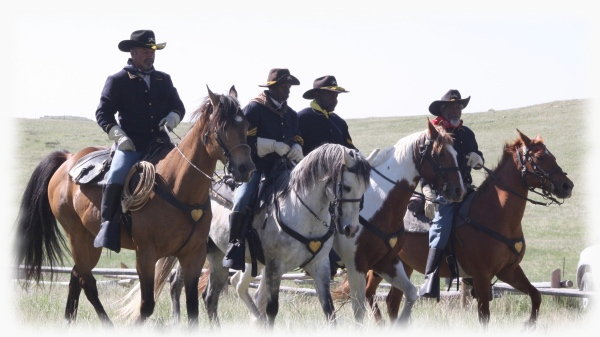 The Buffalo Soldiers of the American West website has more on the organization as well as the history both of the Buffalo Soldiers and how their memory is being kept alive. As is often the case, Wikipedia has a long, but somewhat disorganized conglomeration of information regarding the Buffalo Soldiers. 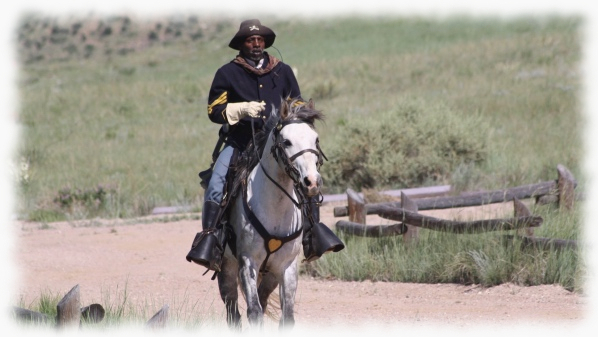 The Deseret News has an article on the history of the Buffalo Soldiers of the American West. 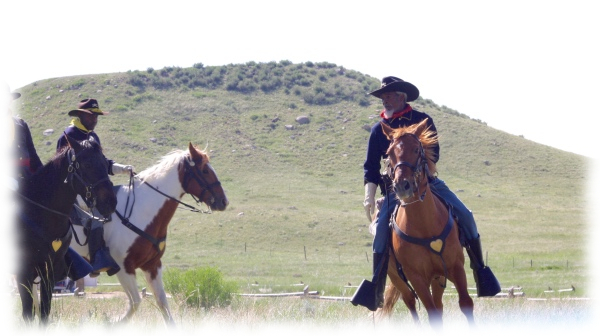 And here’s another resource that I didn’t use, but it looks like there’s quite a bit of interesting reading on what looks to be an early 2000s style website: Buffalo Soldiers & Indian Wars.